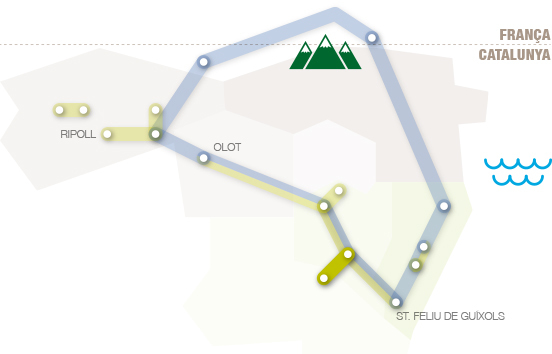 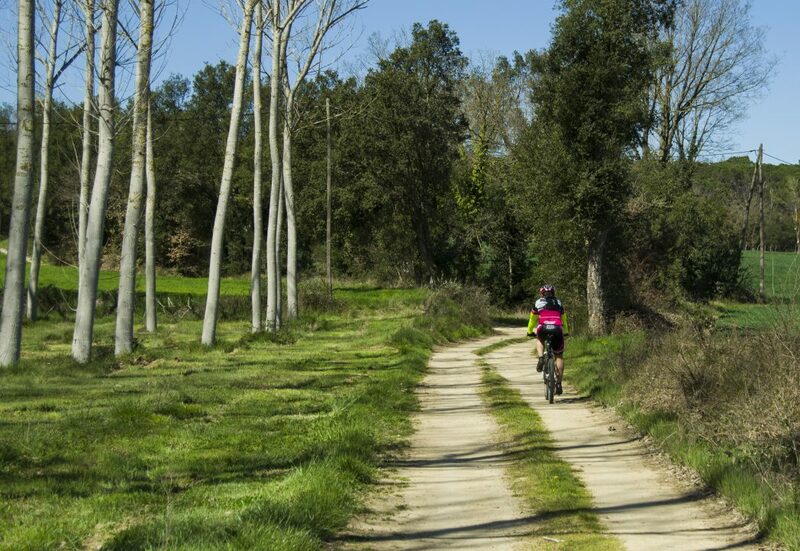 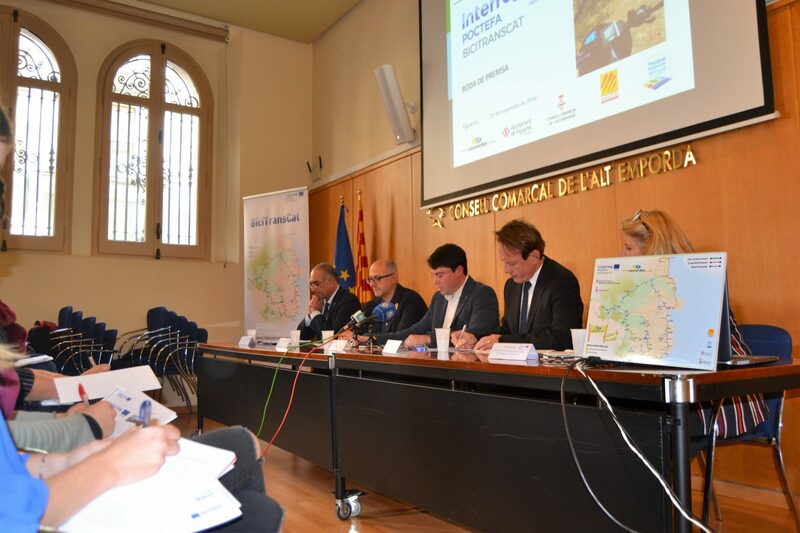 The Thermal Route covers a distance of 14.8 km and, at Cassà de la Selva, it connects the Gauge Railway Route II with Via Augusta or Camí Ral, near to the PGA Golf de Catalunya. 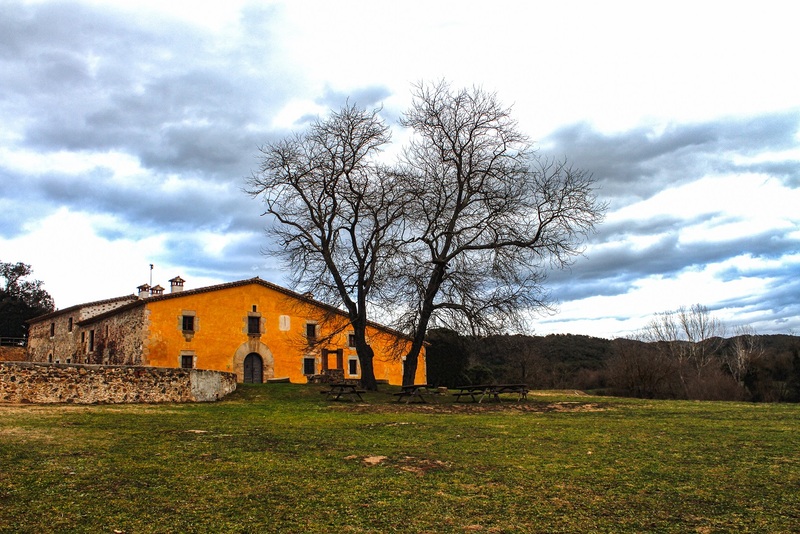 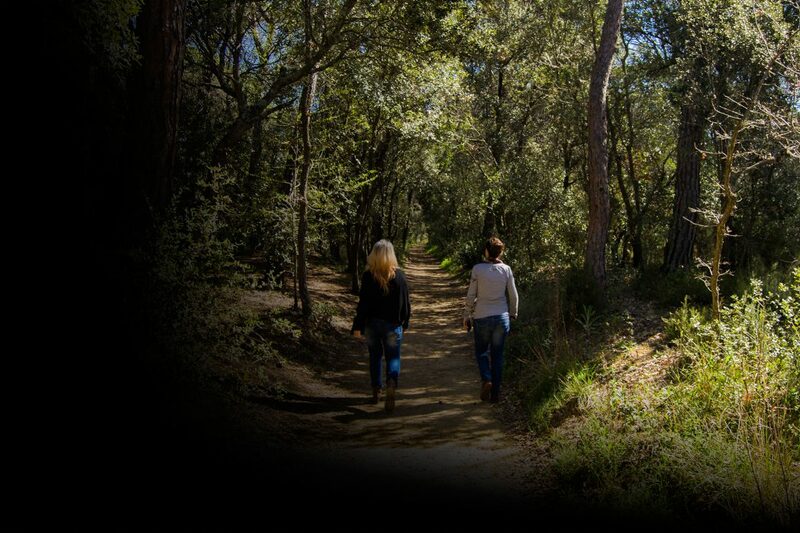 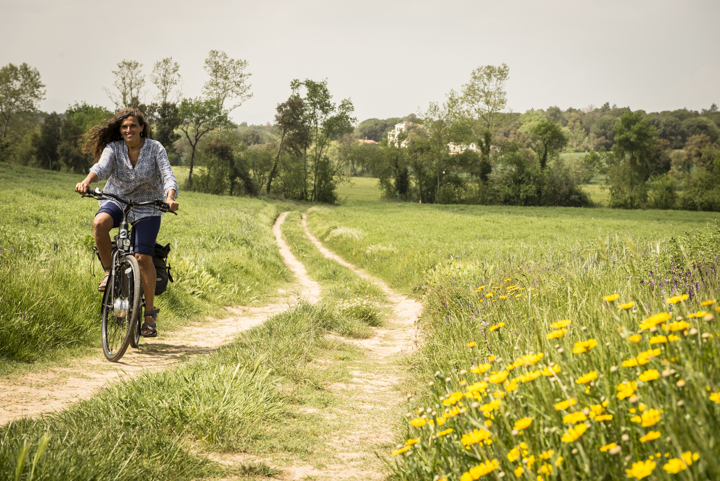 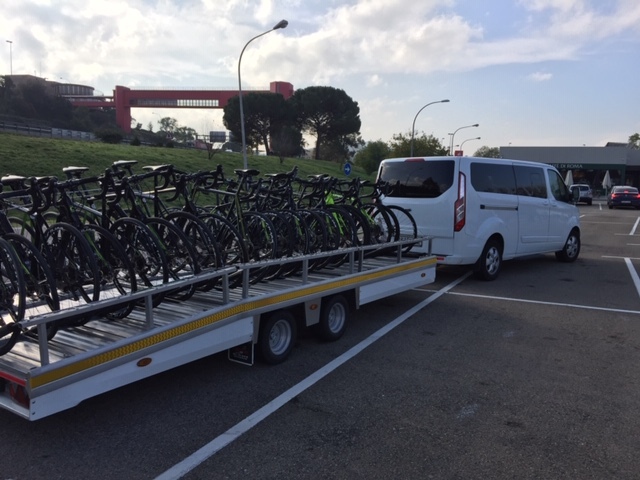 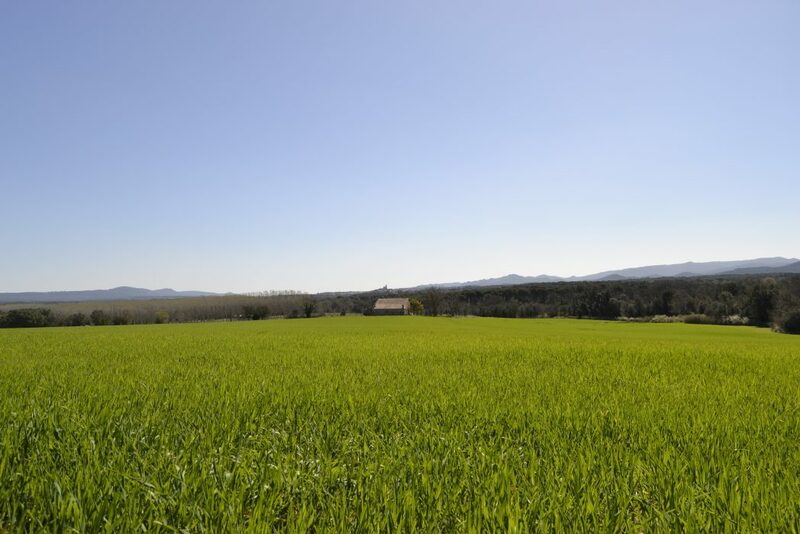 This route, with its gentle slope, allows us to enjoy amazing landscapes, including farmland, oak woods and the Selvatana Plain, from where we can gaze across the magnificent views of the Guilleries and Montseny Massifs. 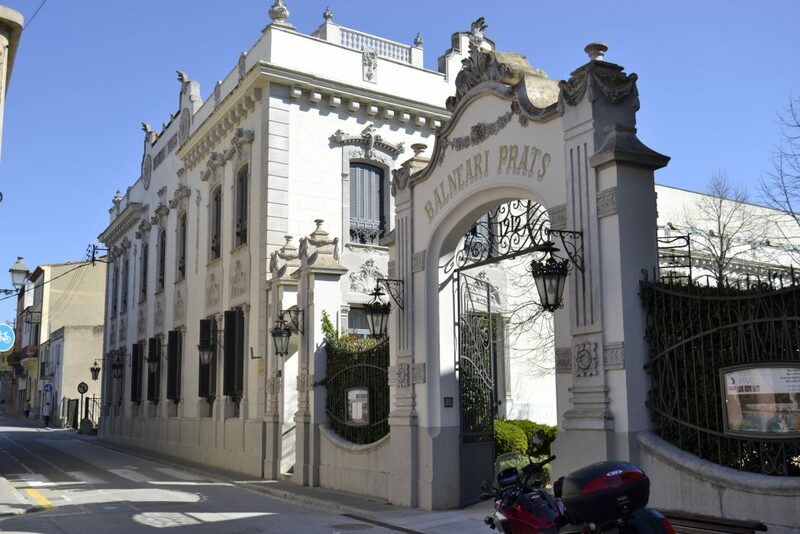 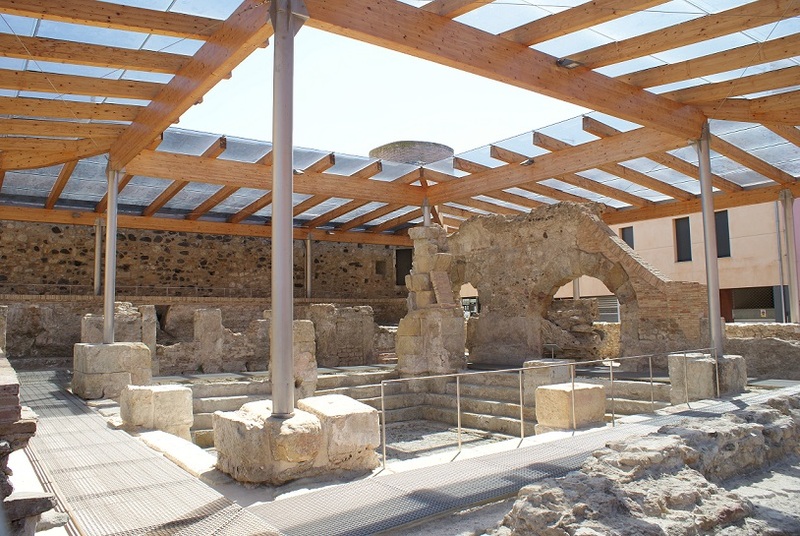 What’s more, the route crosses the urban centre of Caldes de Malavella, where can see how the thermal waters have become an identify symbol of the town, either by visiting the local spas or Roman Baths, or by tasting the water that flows from the springs at a temperature of around 60°C. 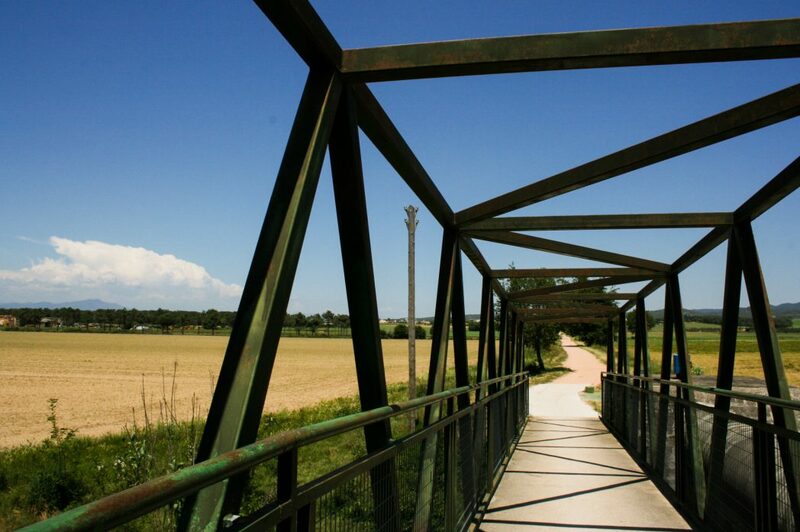 Starting the route at the crossing point with the Gauge Railway Route II, we first find the meadow known as the Prat de Dall, which often becomes flooded, resulting in an important diversity of flora and fauna. 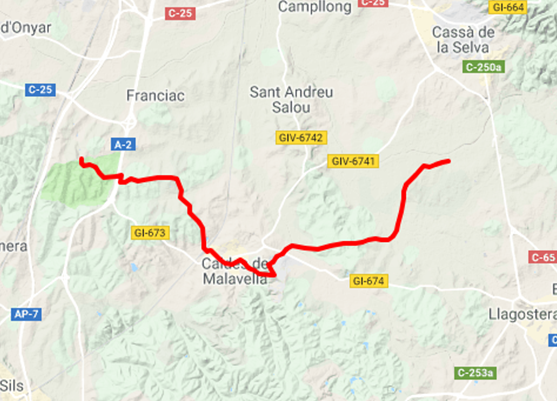 After crossing the River Cagarella, on the outskirts of Cassà de la Selva, we continue along the Camí de Sant Vicenç d’Esclet, crossing La Sureda woodland, until we reach the road that takes us from Caldes to Llagostera (GI-674), which needs to be crossed with caution. 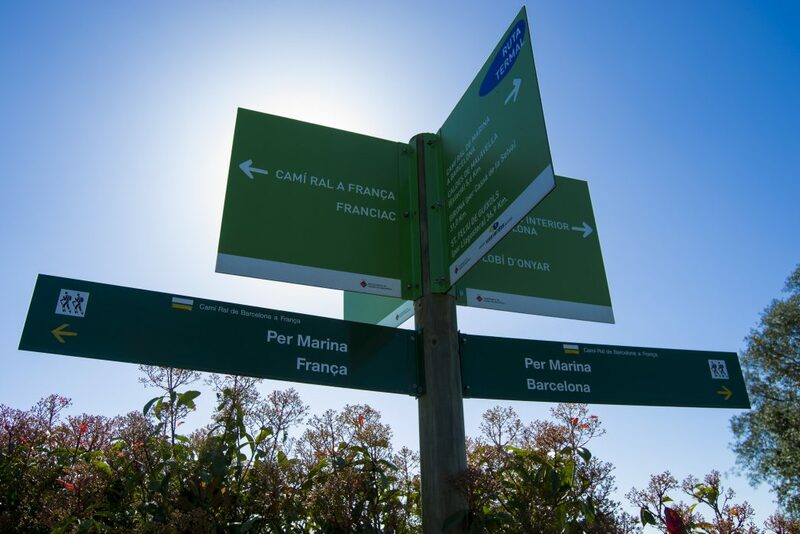 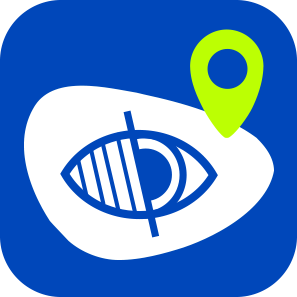 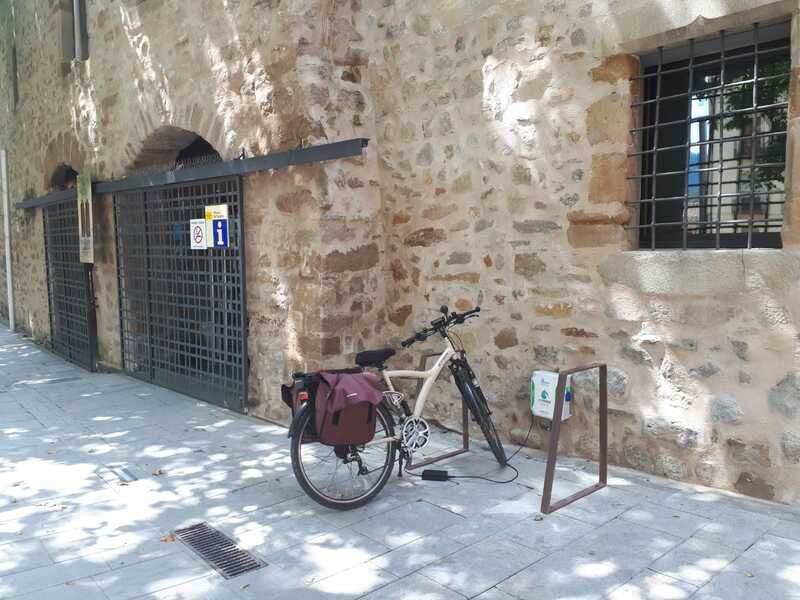 After passing through the Aigües Bones urbanisation, we then reach the Parc de les Moleres via Carrer de Trasmuralla, where we will find various facilities to enjoy some leisure time and relaxation. 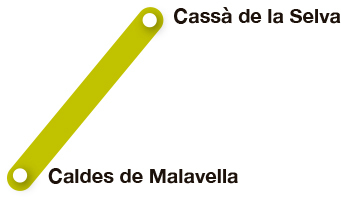 After leaving the town of Caldes de Malavella, we arrive at the train station where we can find maps and information guides about the route. 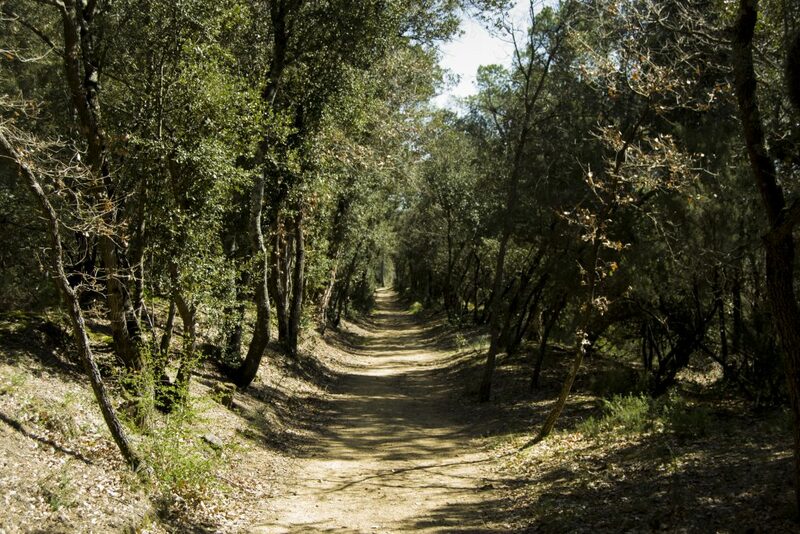 At this point, and after crossing the underpass found at the train station, the route continues through woods and fields, following the roads of the PGA Golf de Catalunya, until we reach La Creu de la Mà.